For parties of 5 and above or sharing pot reservations, please contact the restaurant directly. 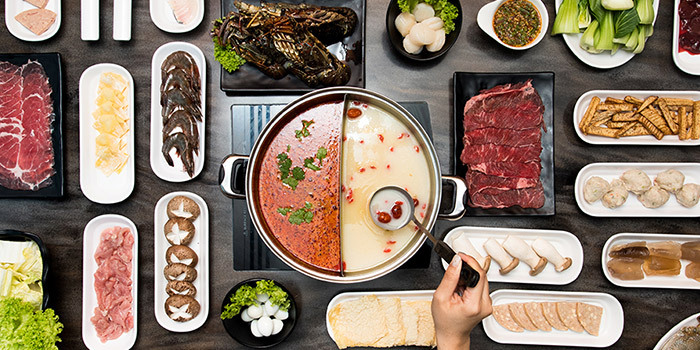 JPOT is a trailblazer in the local food scene by redefining a much-loved dining tradition, hotpot (or steamboat as some of you may affectionately refer to it as). 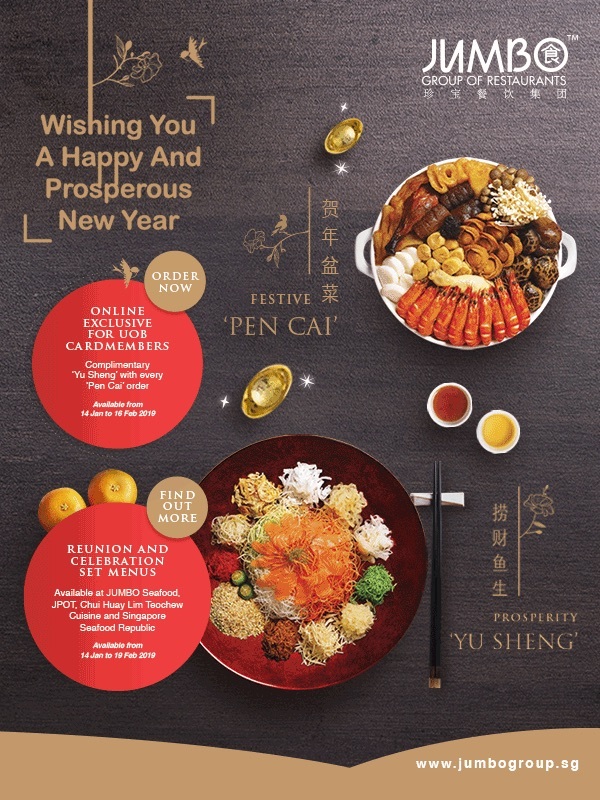 By using smaller individual pots rather than a large communal pot, and introducing a range of new soup base flavours such as Fish Head and Bak Kut Teh, JPOT has breathed new life into this dining concept. Judging by the crowds that throng there throughout the day, it certainly looks like they've found a winning formula (and one that you really should make a reservation for)! 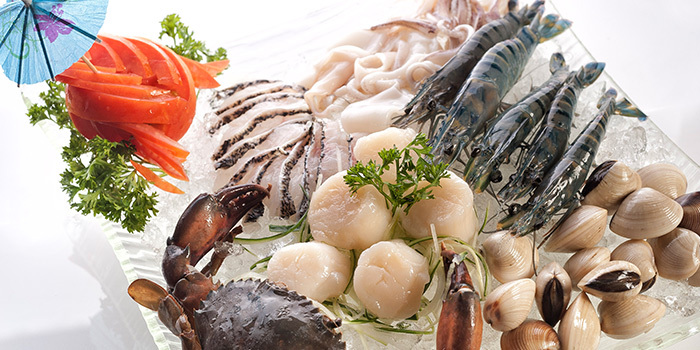 When you first enter JPOT, you're instantly reminded that this is no ordinary hotpot restaurant as tanks of live seafood allude to the fact that JPOT is operated by the JUMBO Group with its reputation for excellent seafood. 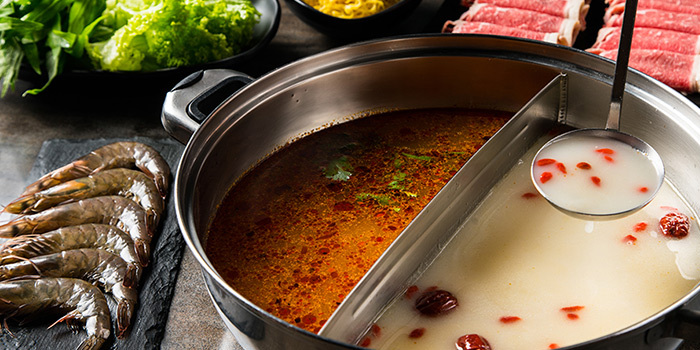 A little further on, you're immediately greeted by the warm aroma of the various pots stewing away at each table, as well as the excited chatter from the other diners. 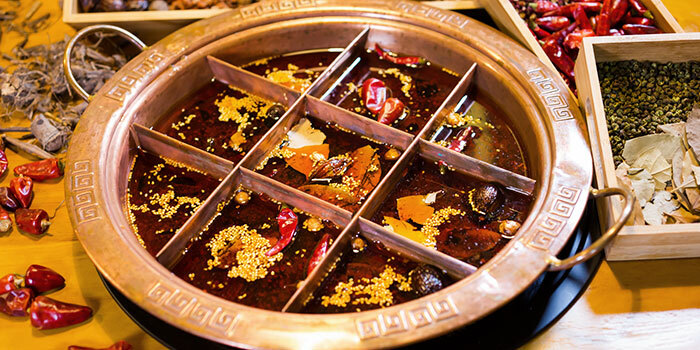 Part of the fun of hotpot is the interactive nature of the experience and the chance to cook the food yourself. 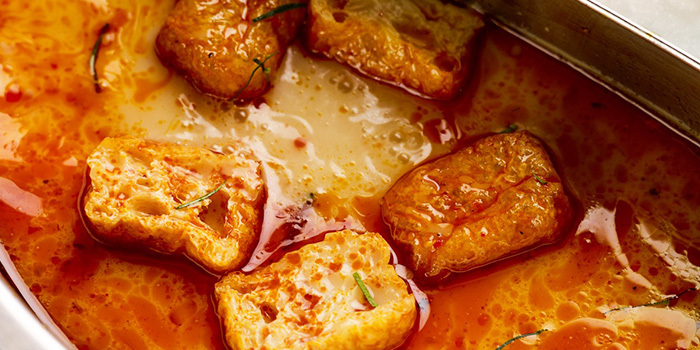 Want your vegetables lightly blanched or cooked through? Want your noodles firmer or softer? At JPOT, you're in complete control. This restaurant was awarded the TripAdvisor Certificate of Excellence in 2015 and 2017 for its outstanding service and quality while maintaining as a favourite among reviewers on TripAdvisor, the world's largest travel site. For parties of 10 and above or sharing pot reservations, please contact the restaurant directly. Reservations are for individual pots only.